Rex Kelley, a.k.a. Buck Nation, pictured on the cover of Songs Sung by Oklahoma Buck Nation and Tex Ann, circa 1935. It’s time now to pay a visit to the Great Depression days of guitar strumming cowboy singers in ten-gallon hats and Mexican radio stations blasting their music thousands of miles past the border into United States, free from the auspices of the Federal Radio Commission. 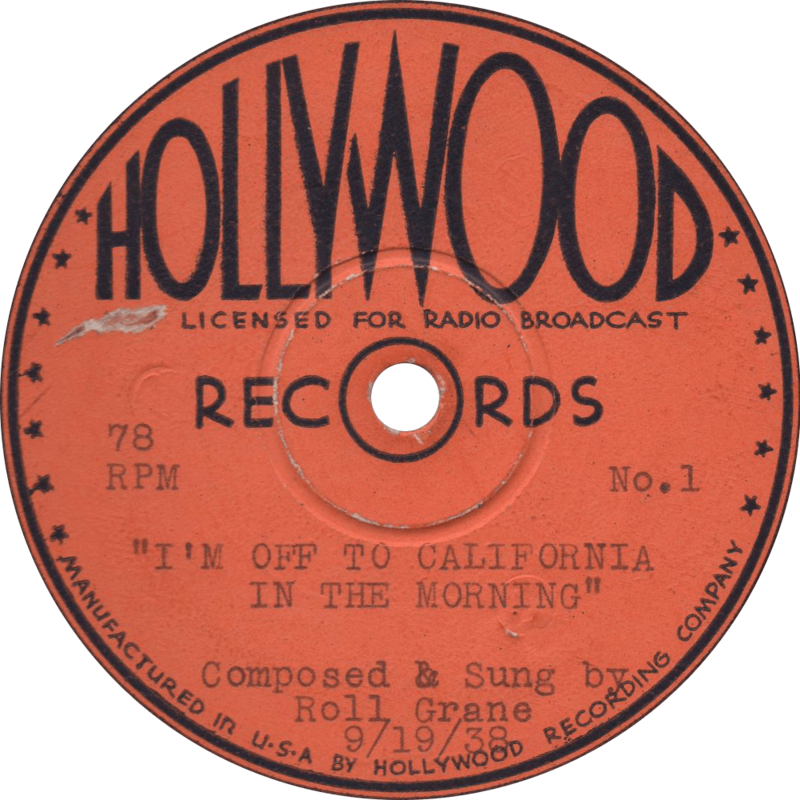 Many of those countless, fairly small time folk singers made their fame on the radio and were never recorded for posterity, and of those who were, many only recorded sparsely. Falling into the latter category is the performer who appears on the record presented herein: the one relatively prolific but now long forgotten Buck Nation. Buck was born Rex Frederick Kelley on September 12, 1910 in the American badlands: Burke, South Dakota, a settlement of about three-hundred situated in-between the Missouri River and the Rosebud Indian Reservation. 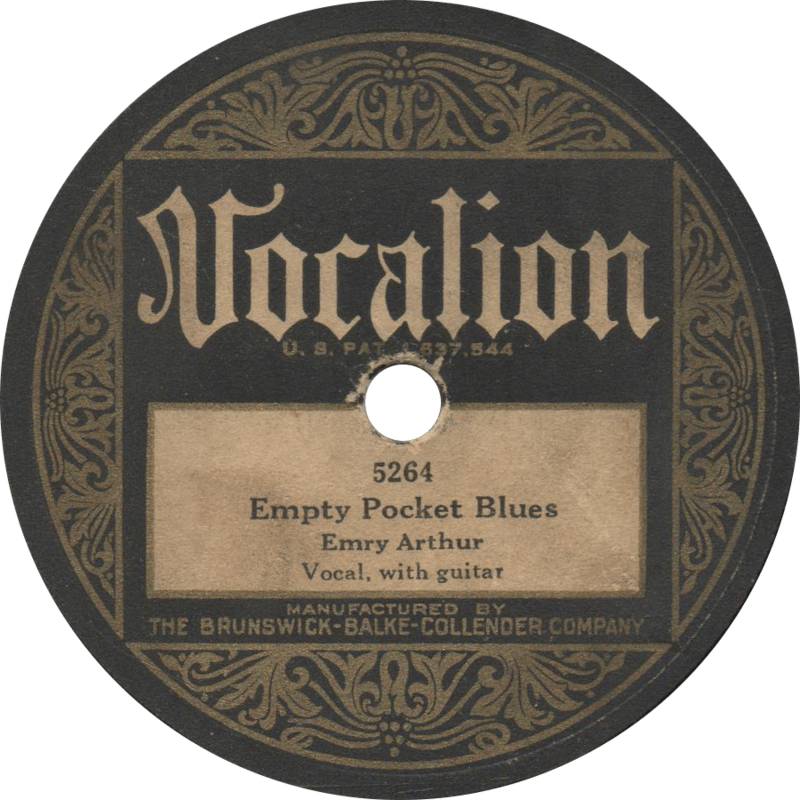 Dropping the “e” from his last name, Kelly went to traveled to Grafton, Wisconsin early in 1932 to make his debut recordings for the faltering Paramount Records, resulting in six sides. 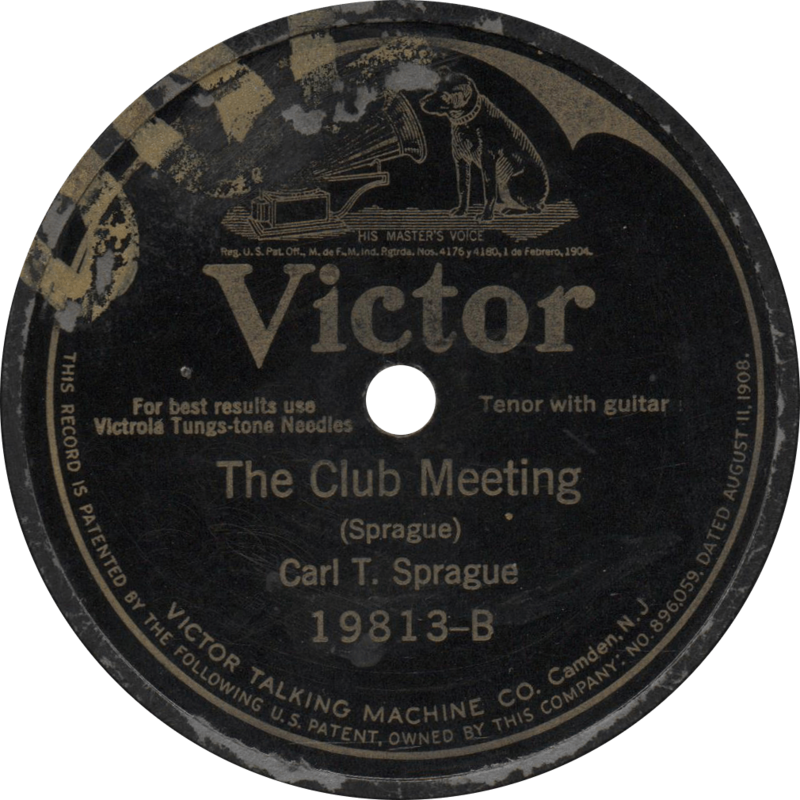 Adopting the stage name “Buck Nation”, he returned to the studio three years later, this time for Decca, resulting in twenty-two recordings made in January and February of 1935, some solo and others in duet with fellow singing cowboy Ray Whitley, plus several more playing guitar behind Tex Ritter. 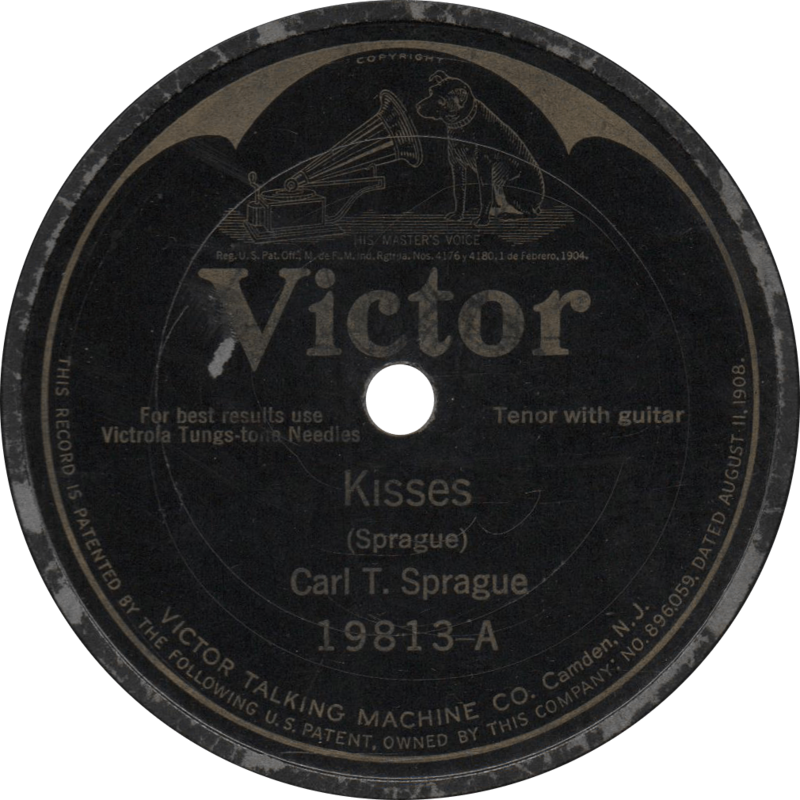 Likely around the same time, he and his wife Louise—who performed with him as “Tex Ann”, and later divorced him and married Merle Travis—published a collection of songs titled Songs Sung by Oklahoma Buck Nation and Tex Ann, which included many of the songs he recorded. 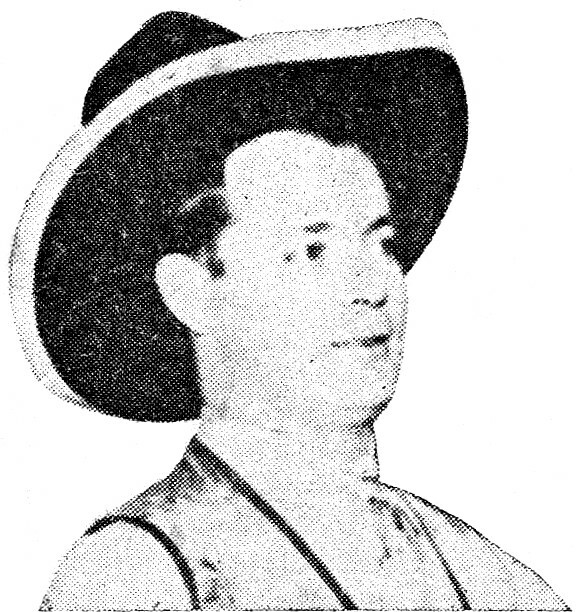 Sometime in the 1930s or ’40s, he was one of the numerous cowboy singers to appear on “border blaster” radio, on XEPN in Piedras Negras, Coahuila. He recorded another ten sides for Bluebird in 1940 and ’41 with Ed and Lloyd West as a member of a Sons of the Pioneers style vocal group and string ensemble called the Airport Boys, which predicted the styles of folksinging groups of the 1950s such as the Kingston Trio. During World War II, Kelley served as a corporal in the United States Army. 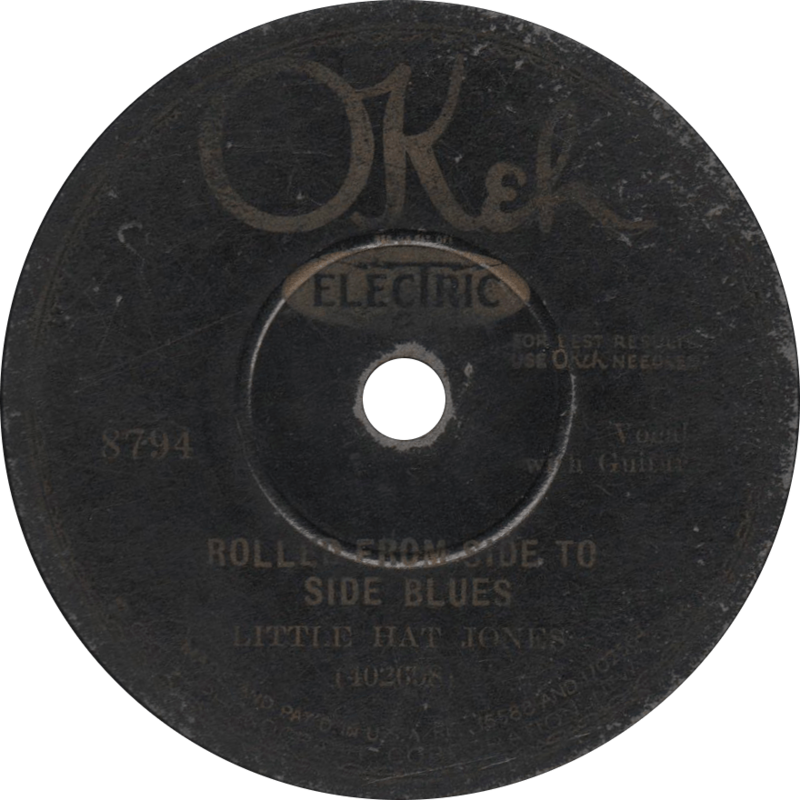 After the war’s end, he recorded once again as a member of the the Six Westernaires with Porky Freeman and Slim Duncan, appearing on the Black and White label in 1946. Rex Kelley reportedly suffered from a drinking problem, and he died on January 11, 1965. 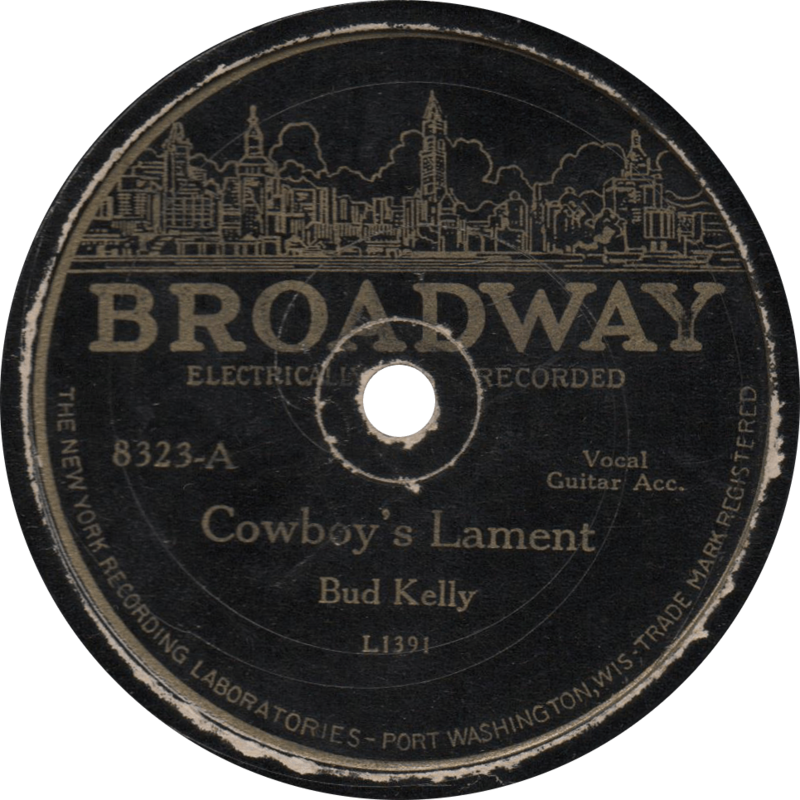 On the “A” side, Kelly sings an amiable rendition of a traditional cowboy ballad which you may recognize as the familiar “Streets of Laredo”, under the title that it was given by its purported writer Frank H. Maynard: “Cowboy’s Lament”. The ballad evolved from the British folk song “The Unfortunate Rake”, the same source that gave way to the famous “St. James Infirmary”, with which it has a degree of lyrical similarity. 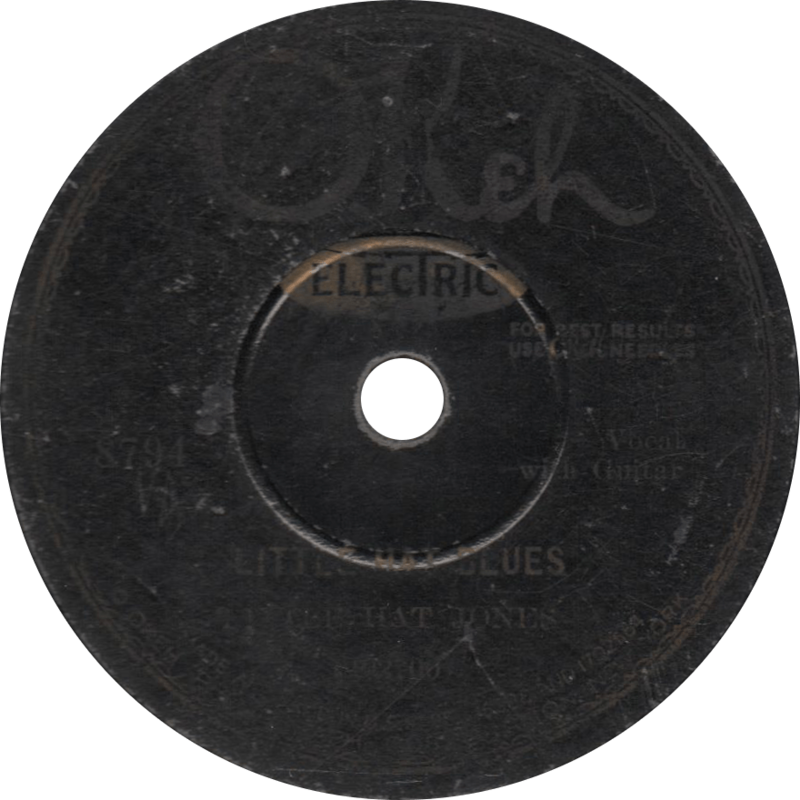 Cowboy’s Lament, recorded January/February 1932 by Bud Kelly. 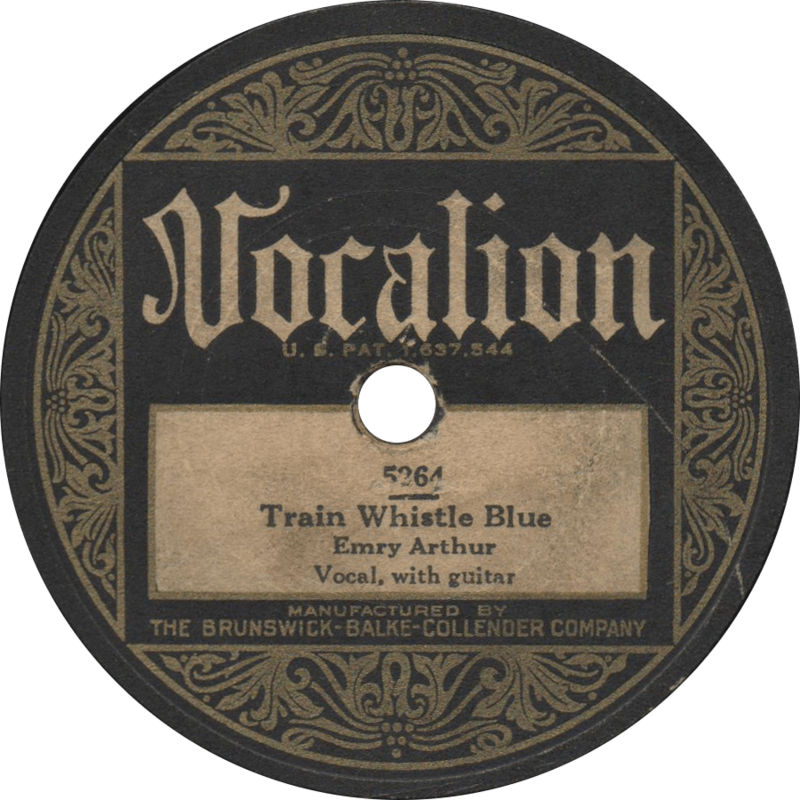 On the “B” side, he sings “Broncho [sic] Mustang”, a song that bears more than a little topical resemblance to its contemporary “Strawberry Roan”, which Kelly recorded previously at the same session. His style of delivery leads me to believe Mr. Kelly drew considerable inspiration from Frank Crumit (coupled with the fact that he also recorded Crumit’s “Down By the Railroad Tracks”). 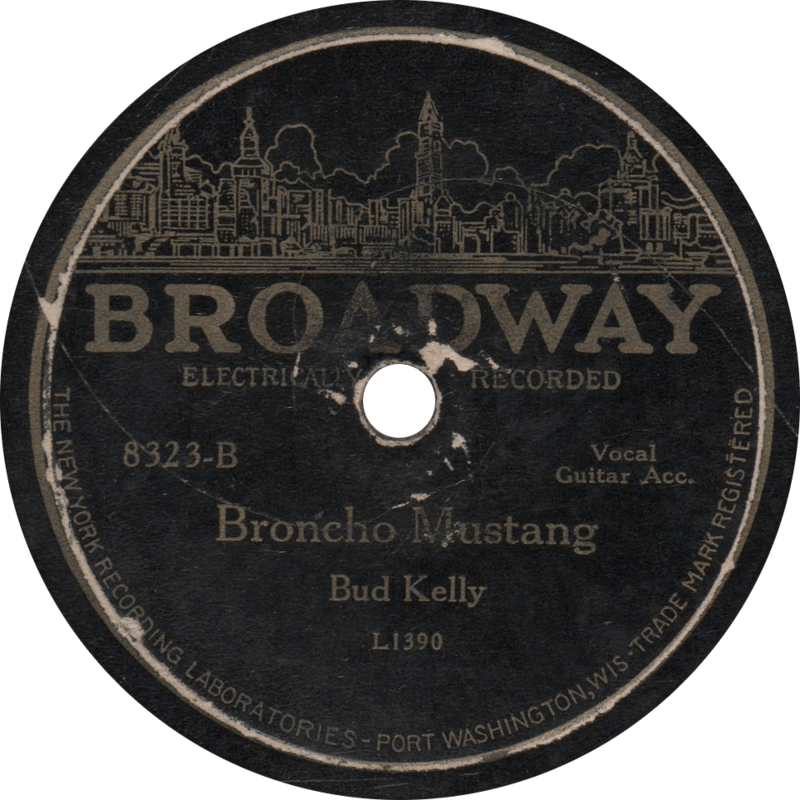 Broncho Mustang, recorded January/February 1932 by Bud Kelly.